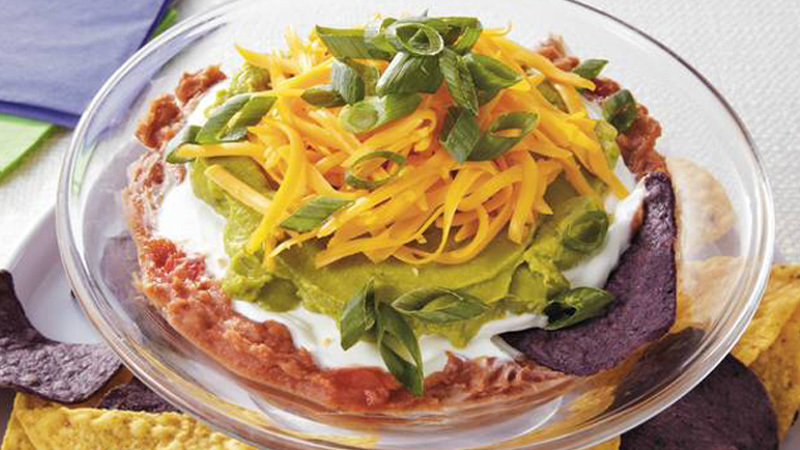 Each layer of this Southwestern dip is loaded with colour and flavour. 1. Mix the refried beans and salsa in a medium bowl. Spoon the mixture into a shallow bowl. 2. Spread the soured cream over the bean mixture and top with the guacamole. 3. Sprinkle over the cheese and garnish with the spring onions. Serve immediately or cover and refrigerate until serving. 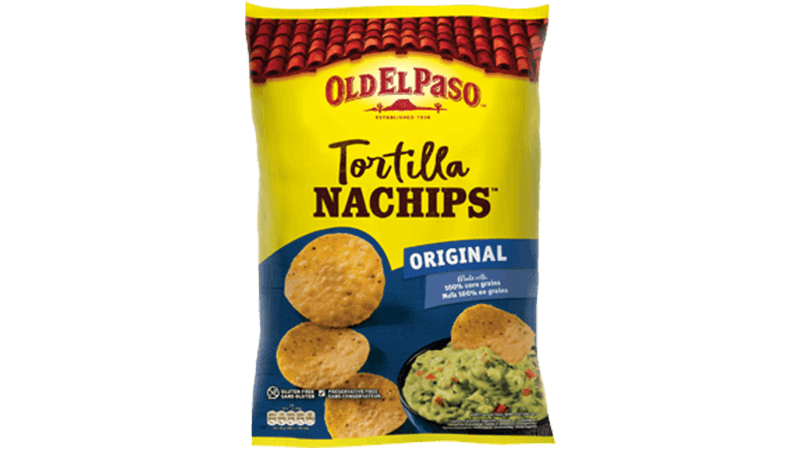 Serve with tortilla chips or Nachips™. Serve alongside crudités such as carrot sticks, cucumber batons and strips of pepper. Try scattering Nachips™ into a shallow dish. Top with the dip ingredients and let everyone dig in.